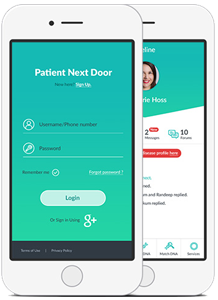 The client was a startup with no previous project management experience who wanted to create a platform for patients to broaden their horizon of receiving medical advice by allowing them to reach out to expert doctors & patients with similar ailments anywhere in the world. Navyug Infosolutions not just design & develop the product but also helped the client expand the possibilities of the solution through genuine advice & fresh ideas. In the beginning, the client only had a business idea & a few mockups. Publishing contents from content writers on targeted audience newsfeed. Agile methodology with sprint planning, daily stand-ups, backlog cleaning and retrospectives. Multiple release delivered with release notes shared with clients and feeback collected and catered across each.